According to the groundhog and the weather forecast, it’s still too early to think about spring. But let’s be honest, our bodies can stand this winter hibernation no longer! Although it will be a few more weeks before we can start a literal shedding of hats, gloves, scarves and sweaters, we can shake off the heavy slumber of winter and, with it, open the door to our healthiest, most beautiful spring. This is the moment to start your spring cleaning! Instead of filling your to-do list with household chores, make a list of activities that will help you feel your most beautiful by the time the snow melts away. Here are four powerful ways to spring-ify your beauty even before the crocuses sprout. With a little advance planning, you’ll bloom brighter than ever this spring season. We all want to feel confident the first time we slip on a sundress or pair of shorts this season. To ensure that you’ll be glowing and gorgeous in the months ahead, now is the time to realign your habits. Whether you need to shed a few winter pounds or you feel like your personal style needs a complete overhaul, work on it today. You’ll get excited about the transition ahead and your new focus will eliminate some of the doldrums that hang around late in the winter season. Not feeling especially motivated to make big changes? One easy way to support your beauty and health in advance of spring is to catch more shut-eye while the winter nights are dark and chilly. Beauty sleep helps to balance your appetite, lower aging stress hormones, shed unwanted weight and repair your skin, thanks to anti-aging hormones that are secreted while you snooze. It may not be a full-on spring green fest at your grocer just yet, but by March you’ll start seeing some of the powerfully detoxing foods of spring— think asparagus, artichokes, dandelion greens— hitting shelves. Grab them right away, as a signal to your body and beauty that spring is on the way. By now, you’re probably ready to forgo the heavy foods of winter, but start slow in your transition. Sub a fresh green smoothie for your heavy winter breakfast just one day this week, and incorporate in-season winter foods like fennel, citrus and avocado that brighten up otherwise heavy meals. 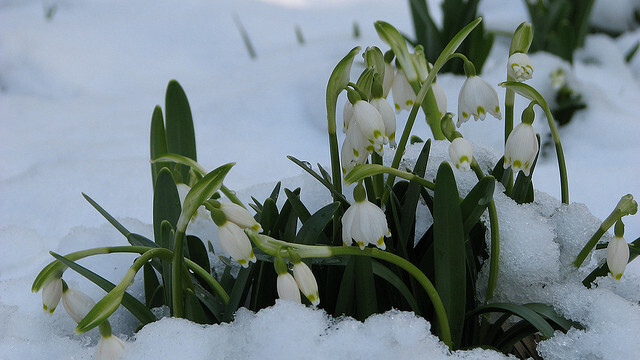 Get your mind and mood out of their winter slump by nurturing that effervescent springtime feeling a little early. Your emotions directly influence the physical appearance of your skin, so there are some seriously beautiful perks to getting happy: think smoother skin, fewer breakouts and a rosy glow. Here are a few simple ways to put spring happiness into your day: start seeds that you’ll grow into fresh spring and summer herbs; get out in the late winter sunshine to boost your mood naturally, and make time for love— that’s the root of spring fever, after all. Prepare for your spring rebirth by learning about the physical, emotional and nutritional needs of your body and beauty. This week my beauty and wellness book, Eat Pretty, hit shelves for the first time— it’s a guide to looking and feeling your best from the inside out. All 200+ pages are packed with ideas, information, recipes and rituals tailored to each of the four seasons of the year— and it all starts with spring. This is the moment to prepare for your spring beauty awakening!